HANNAFORD’S solo album is a challenge and a celebration of piano at its provocative best. Freed from conventional harmonies and melodies, and what he calls “large, romantic-piano gestures”, Hannaford opens a door to new, exciting possibilities. By prising ourselves from easy dependency on catchy tunes and rhythms, we can appreciate the pure sounds of the piano’s full range and clarity. It may take effort to fully appreciate Hannaford’s creations, and a John Rodgers piece, but the rewards are undeniable, especially in the long Genius and Emptiness and The Book of Sand. Often unsettling, this is nonetheless strangely soothing music, with interludes of great beauty, peace and unhurried space. The Book of Sand calls to mind the pressure and tension caused by climate change and the global financial crisis. There are interludes of escape, but these issues are here to stay. There are not many sweet moments these days; not many romantic melodies. This music avoids escapism, yet deeply satisfies. 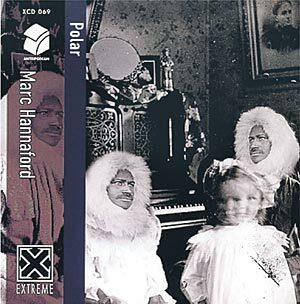 This entry was posted in CD REVIEWS and tagged John Rodgers, Marc Hannaford, Polar. Bookmark the permalink.